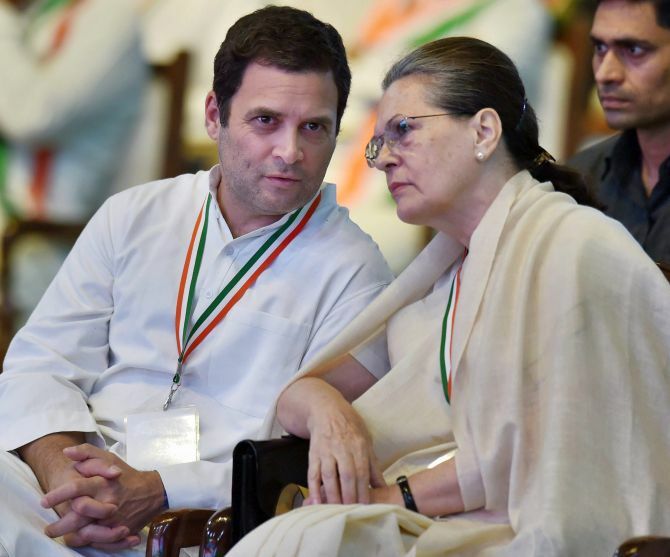 Congress president Rahul Gandhi and his mother Sonia Gandhi on Monday failed to get any relief from the Delhi high court which dismissed their challenge on reopening of their tax assessments for 2011-12. The 'writ petitions have to fail', a bench of Justices S Ravindra Bhat and A K Chawla said while clarifying that the observations in the order with regard to the contentions of the Congress leaders are not conclusive and are recorded for the purpose of disposing of these petitions. "...The assessees' rights to urge them are reserved in the income tax proceedings," it said, while 'dismissing' the three separate petitions which were decided through a common order. The income tax probe against the Congress leaders has arisen from the investigation into the private criminal complaint filed by Bharatiya Janata Party leader Subramanian Swamy before a trial court in connection with the National Herald case. In the complaint before the trial court, Sonia, Rahul and others have been accused of conspiring to cheat and misappropriate funds by paying just Rs 50 lakh, through which Young Indian (YI), the not-for-profit organisation, had obtained the right to recover Rs 90.25 crore that the Associated Journals Ltd (AJL) owed to the Congress party. The bench, in its Monday order, noted that the premise of the reassessment notices was that the non-disclosure of the taxing event -- allotment of shares of YI -- deprived the assessing officer of the opportunity to look into the records. It said that in Rahul's case, the non-disclosure of share acquisition constituted tangible material justifying reassessment. In case of Sonia and Oscar, the bench said returns filed by them were processed under Section 143(1) of the Income Tax Act, which pertains to 'Notice or intimation', and are not treated as 'assessments'. The BJP, meanwhile, claimed that the 'Bharat bandh' call given by the Congress was to divert the people's attention from the hearing in the Delhi HC on the case. Welcoming the order, BJP's national spokesperson Sambit Patra, said it was a 'victory of common man'. Addressing the media at the party head office in New Delhi, Patra said this was a big victory in the battle against corruption initiated by the Narendra Modi dispensation. "The whole (Gandhi) family today is known as a family who cheats, a family who goes for tax evasion, a family of corrupts and a family who conspires against the law of the land, a family which includes Rahul Gandhi, Sonia Gandhi, Robert Vadra and Priyanaka Vadra," Patra said. He further claimed that the call for 'Bharat bandh' by the Congress was also linked with this case as it was to divert the people's attention from the National Herald matter. They knew that they are going to lose the case in the Delhi High Court and that is the reason why today was the day they have given a call for the 'Bharat bandh', Patra said. "The people whose conscience was locked somewhere, those who were thick involved in corruption, the same people had deliberately called for the Bharat bandh because they knew the National Herald case was on and the verdict was expected today," Patra told reporters. Attacking the entire Gandhi family, the BJP leader said it exposes the reality of them who have been cheating the country for years, and added, 'they had a sense of entitlement that throne of India belongs to a particular family'. He also took on former Prime Minister Manmohan Singh and said it appears that even he was complicit in the case.